La Grande Place. (Venice) - LAZARRI,A. Title : La Grande Place. (Venice). Size : 7.1 x 9.3 inches. / 18.0 x 23.5 cm. 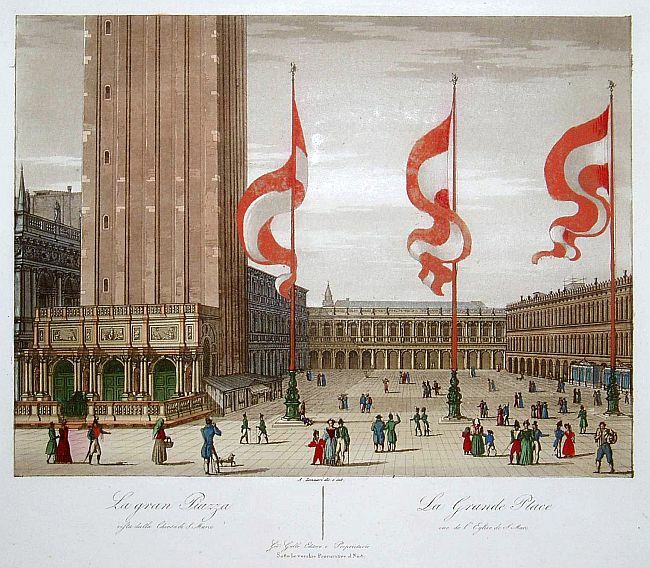 Description :"Superbly hand coloured aquatint showing the ""Grande Place"" of Venice. It provides a lovely view of the architecture and the people walking in front of the San Marco."